Our technical team can help you identify and act on challenges you face in education. Gibson has deep technical talent in key areas – financial, research and evaluation, data analysis, efficiency, technology, surveys, internal audit, organizational analysis, and academic program reviews, among others. Each member of Gibson’s team makes professional and personal commitments to our education clients to help them solve problems, be more effective, and find better and more efficient ways of doing things. Meet our team and learn more about us. Greg is the founder and President of Gibson Consulting Group and is one of the nation’s leading experts on school district efficiency and management effectiveness. He has over 30 years of experience, and has led over 150 school system efficiency studies for districts ranging from 500 students to over 600,000 students. Greg is the director of the firm’s Management and Organization and Internal Audit Practices, and has directed a wide range of other projects in public education, including information systems selection and implementation, organizational analysis, process re-engineering, data integrity reviews, and program evaluations. 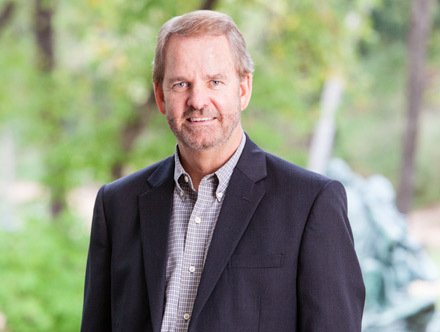 Previously, Greg led the Management Consulting Services Practice for the Austin office of Coopers & Lybrand (now PricewaterhouseCoopers LLP) – an international accounting and consulting firm. 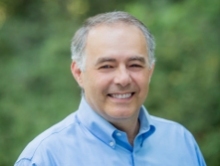 He is a speaker and trainer on school district efficiency and internal auditing at state conferences and conventions for school administrators and board members. Ali has over 17 years of experience in technology management practices, data visualization, and programming. He leads our Data Visualization Practice Area, and is our lead technology consultant on efficiency studies and software selection. He develops and implements business intelligence solutions that support educational decisions. These solutions allow users, including administrators and board members, to more easily grasp vast amounts of information through graphics-based presentation and drill-down capabilities. Ali has developed academic (e.g., student performance) and administrative (e.g., budget analysis and department efficiency) performance measurement systems for school districts. Ali also conducts technology department performance audits, and helps school districts select application software to support more efficient operations. He supports virtually every other practice area in the firm, generating data visualizations for survey research results, conducting data analytics to support internal audit, and integrating multiple data sets on efficiency studies. Joseph serves as Director of Evaluation, and has over 20 years of experience in research and program evaluation delivering results based on rigorous methodological designs. Joseph is currently involved in a wide array of research studies, including prekindergarten research, assessments of afterschool program quality, and studies of pedagogical change at the higher education level. Recent work has included an impact study of online math and reading program usage in Texas, an evaluation of University of Virginia School Turnaround Specialist Program which was selected as the intervention for the Texas District Turnaround Leadership Initiative, and of a multi-year college completion study for the national AVID Center. He is also leading two studies in New Mexico as part of the Southwest Regional Education Laboratory – The New Mexico Prekindergarten participation study and the Kindergarten Readiness Study. Previously, Mr. Shields served as Deputy Associate Commissioner for Grants and Evaluation at the Texas Education Agency, where he was responsible for directing statewide evaluation activities and overseeing the administration of approximately $4 billion in annual state and federal grant funds to school districts. 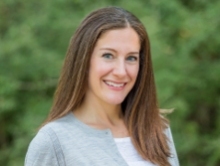 Dr. Amie Rapaport is the Director of Research and has over 10 years of applied education research experience. She serves as project director for several large-scale, multi-site research and evaluation projects, including several Randomized Controlled Trials (RCTs). Dr. Rapaport’s projects span various content areas, including educator professional development, STEM education, civics education, teacher evaluation and appraisal systems, and measures of student/parent/employee satisfaction and school climate. She is also a What Works Clearinghouse-certified reviewer. Dr. Rapaport earned her doctorate in Social Psychology from New York University, with a concentration in Quantitative Psychology. 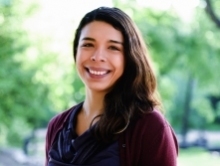 Her statistical training, combined with her years of experience working with state education agencies and school district staff, enables her to translate technical research language to non-technical audiences, helping to inform educational policy and local decision making. 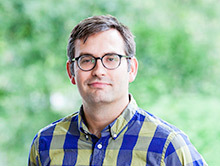 Mr. Garland serves as the lead methodologist and quantitative analyst on multiple research and evaluation projects at Gibson, including two multi-site randomized controlled trials (RCTs). His expertise and research interests are diverse, but his primary interest is in using longitudinal data to address research questions pertaining to equitable student access to high-quality instruction and curriculum, and the academic supports necessary to support successful student transitions from high school into college and the workforce. Recently, he served as the lead methodologist and analyst for two peer-reviewed studies supported by the Institute for Education Sciences through the Regional Education Laboratory Southwest. Before coming to Gibson, Mr. Garland was a research scientist at the Texas Schools Project at the University of Texas at Dallas, and a program evaluator at Austin ISD, where he evaluated several school redesign initiatives funded by the Bill and Melinda Gates Foundation. His graduate training in Political Economy included research methodology and econometrics with a concentration on panel data analysis techniques. 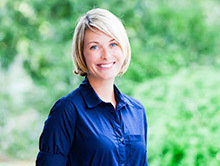 Cheyanne has 12 years of experience as a consultant and project manager at Gibson. As a certified Project Management Professional, she serves as project manager on all of our and internal audit and management and organization projects. 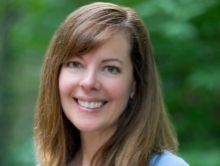 She has managed client projects ranging in size from 3,000 students to 300,000 students including serving as project manager for the Fairfax County Public Schools and Tucson Unified School District efficiency reviews, and as assistant project manager for the $900,000, 3-month Clark County School District efficiency review. Cheyanne has experience working on a wide variety of projects, including efficiency reviews, accounting systems, program evaluations, cost savings, and performance measures. She has worked closely with senior consultants on all facets of school district projects, including the creation of performance measures, data analysis (e.g., coding qualitative and quantitative data, as well as financial data analysis), detailed requirements gathering, school-level organizational analysis, staffing analysis, and data-collection activities (e.g., conducting interviews, facilitating focus-group sessions, survey administration, survey reporting, and classroom observations). Before working at Gibson, Ms. Rolf served as a grant manager for Texas school districts. Beth is responsible for conducting all business operations within the firm, including accounting, billing, human resources, insurance, office management and contract management. She has been with Gibson for over 10 years, and as part of the leadership team she is involved in every major business decision the firm makes. 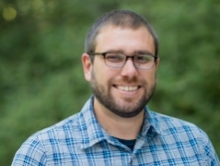 Eric has over 10 years of experience in the analysis and evaluation of educational programs and policies, including a focus on analyzing large, longitudinal, and archival educational databases. He is the author of over 20 packages for the statistical package, Stata, that focus on the analysis or management of large-scale data. He possesses graduate-level training focused on advanced statistical methodology, survey design, and educational policy analysis. He received additional statistical and econometrics training at the University of Michigan and the University of Texas. 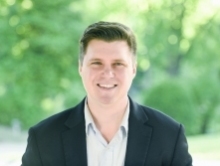 Eric previously held a dual appointment at Texas A&M University as Senior Research Associate at the Public Policy Research Institute (PPRI) and Lecturer in Graduate Research Methods in the Department of Health Policy and Management. He has regularly taught graduate courses on data management with Stata, research methodology, and complex survey design. His peer reviewed publications include articles at the Journal of Developmental Education, Journal of Applied Research on Children, Party Politics, and Health Services Research. He is co-author of the book, Closing the School Discipline Gap (Teachers College Press). And his educational research has been featured in various media outlets including the New York Times, NPR, Washington Post, Houston Chronicle, and the Austin American-Statesman. With over 20 years of public education consulting experience, Keri has worked with both urban and suburban school systems across the country on many different types of engagements. She has managed numerous performance audits and operational reviews. She has conducted organizational analyses, per pupil spending analyses, school-level resource use analyses, process mapping and reengineering, and has worked as part of a Project Management Office (PMO) on a multi-agency ERP implementation. 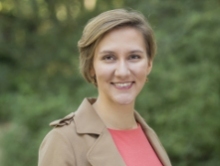 Her work has primarily focused on helping school systems to identify opportunities for reallocating resources in order to better ensure their alignment with district priorities. Keri holds a Master in Business Administration, with a concentration in Finance, from the University of North Carolina at Charlotte, and earned her undergraduate degree from Stetson University in DeLand, Florida. Prior to Gibson, Keri worked for a not-for-profit education consulting firm, focusing exclusively on assisting urban school systems to analyze spending patterns, in order to rethink how they can better organize their resources for improved efficiency and effectiveness. Keri also worked for KPMG Consulting (later BearingPoint) as a manager in their Public Education Practice for many years. 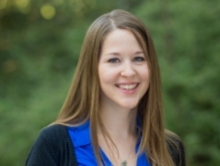 Dr. Jill Carle, a research scientist at Gibson, has over five years of research experience, extensive graduate and professional training in research design and econometrics, as well as experience working with large, longitudinal survey data. Dr. Carle has recently worked on a variety of research projects at Gibson, including an evaluation of the 2010 Teacher Incentive Fund Project for the Region 18 Education Service Center in Texas, a study of prekindergarten class size and student-to-teacher ratios for the Texas Education Agency, and a parent involvement survey for the New Hampshire Department of Education. Prior to joining Gibson, Dr. Carle served as a research associate at the Pew Research Center where she was responsible for analyzing global trends in survey data from more than 45 countries. In this context, she helped develop research questions and survey instruments, built advanced multi-level models, evaluated demographic patterns, and summarized key findings for publication. She holds a Ph.D. from Arizona State University in Political Science, with an emphasis in quantitative research methods, and received additional statistical and econometrics training at the University of Michigan. 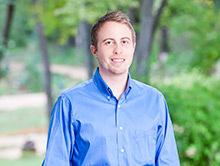 Brandon, our proposal manager, has over 11 years of business development, writing, and editing experience. The key resource for new business development at Gibson, Brandon identifies and researches new proposal opportunities, facilitates bid decisions, assists in the development of win strategies, writes proposals, manages proposal production, and reports to the firm on our proposal results. He manages the maintenance and development of our website, blog, and other marketing materials. He also edits consultant and research reports for the firm. Prior to joining Gibson, Brandon worked in multiple roles, ranging from magazine editor to sales manager. 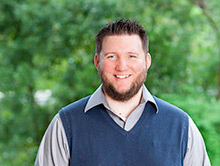 He has a BA in Rhetoric and Writing from the University of Texas at Austin. Danial has over six years of research experience, including a considerable background in complex quantitative data analysis. His experience includes the gathering, cleaning, and merging of datasets, as well as working with large, pooled cross-sectional datasets. At Gibson, he has recently conducted analytic work for projects, including surveys for measuring and reporting Indicator 8 for the Office of Special Education Programs for New Hampshire and Texas, studies of Pre-Kindergarten Participation and Kindergarten Readiness in New Mexico for the Southwest Regional Education Laboratory, and evaluations of the College Completion Project for AVID Center and of the AVID program for Lee County Schools in North Carolina. Prior to joining Gibson, Danial worked as a Research and Teaching Fellow at the University of Pittsburgh, where he regularly presented complex methodological and theoretical material to non-experts. His work there focused on analyzing theoretical structures in survey data. He has also spent time volunteering for an international educational organization. Danial holds a Master of Science from the University of Utah and is working on his dissertation at the University of Pittsburgh to earn his PhD in Political Science with emphases on Methods, Comparative Politics, and International Relations. He has received extensive graduate training in research design and econometrics, including through additional econometric training at the University of Michigan. Kent is a consultant at Gibson supporting our internal audit and efficiency practice areas. His experience includes the development of an efficiency report card for a 70,000-student district in Florida, and conducting an asset and risk management audit and a nutrition services audit for a 40,000-student district in Texas. Prior to his time at Gibson, Kent worked as an external auditor for four years, with Deloitte and Touche in Dallas, Texas and PricewaterhouseCoopers in London, United Kingdom. During that time, he conducted and managed audit projects, working primarily with large, publicly traded companies. Kent is a Certified Public Accountant who holds a Bachelor’s degree in International Business and Accounting from Texas Tech University and a Masters in Professional Accounting from the University of Texas at Austin. 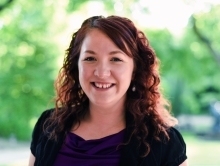 Elizabeth is a research associate and qualitative analyst with Gibson. A practiced interviewer and focus group facilitator, she has over five years of qualitative and mixed-methods research experience. Her specialized graduate and professional training has encompassed qualitative research methods in the context of program planning, implementation research, and program evaluation, including qualitative instrument development, observation methods, focus group facilitation, interview methods, inter-rater reliability, and qualitative data and text analyses. Elizabeth contributes to numerous research and evaluation projects across various content areas in both a project management/coordination as well as a qualitative data collection/analysis capacity. Before coming to Gibson, Elizabeth worked on a five-year, longitudinal school health Randomized Controlled Trial evaluation project at the University of South Florida, where she received a Master of Arts and a Master of Public Health in Applied Anthropology and Public Health Education. Rex is a research associate at Gibson, with specialized training in qualitative research methods. He supports Gibson’s research and evaluation projects in qualitative data collection and analysis as well as in a project coordination capacity. 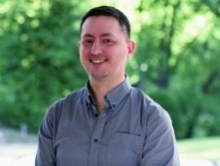 He has accumulated experience in mixed-methods research approaches, including developing qualitative and quantitative data collection instruments, conducting interviews, coding and analyzing qualitative data, incorporating quantitative findings into reporting, and presenting findings. He has also provided advanced training in using NVivo software to conduct qualitative analysis. 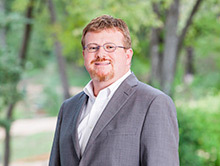 At Gibson, Rex has worked on several research projects, including an evaluation of the 21st Century Community Learning Centers (a federally-funded afterschool program), an evaluation of the adult education focused College Integration Pathways grant, and an evaluation of new charter schools in Texas. Rex holds an MA in Anthropology from Texas State University. Sarah is a research assistant at Gibson where she supports the research team with various aspects of large-scale education research and evaluation projects. She is involved in developing data collection materials and protocols, coordinating with staff in schools, school districts and state education agencies, and working closely with project partners to maximize research participation. In her previous position at Education Service Center Region 13, Sarah worked on several state-funded projects including teacher and administrator professional development trainings and statewide initiatives, such as the Texas Early College High School program. She has experience developing and producing professional development sessions, including materials, tools, and resources. Sarah is currently working towards her Master of Science in educational psychology with a concentration in research and evaluation from the University of North Texas. As Operations Coordinator, Tami is involved with vendor invoice processing, time and expense management, purchasing, and general office management support. Tami also provides executive support to the President of the firm. She has a BA in Communications from the University of Arkansas and has served in administrative support roles for over 10 years.